Although he doesn’t have a lot of exposure outside of his native Japan, Tanaka is the Mark Zuckerberg of the east, creating the most successful social networking site in the region. This year he became the youngest self-made billionaire in Asia, second globally only to his Facebook counterpart. Starting at Sony, Tanaka went on to work for online retail giants Rakuten. He left the organisation in 2004 to set up Gree, which has prospered beyond analysts’ predictions since it was established. 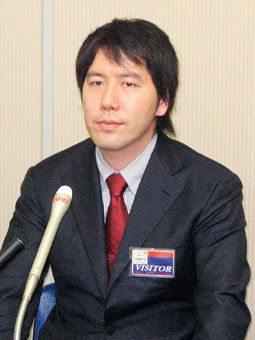 Tanaka chose the name, incidentally, from a notion associated with the psychological concept of the six degrees of separation.